Due to weaknesses in SMS functionality, SMS messaging is commonly used by hackers and cybercriminals as a form of mobile device phishing. This is a major security concern for enterprises looking to secure iOS devices and keep iOS users safe. 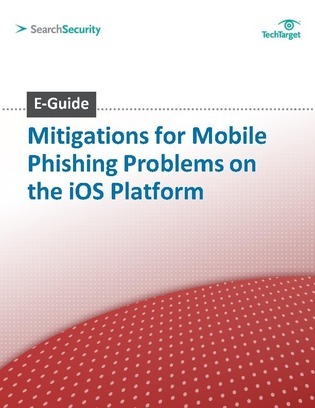 This expert E-Guide will walk you through the basics of SMS-based attacks and what security teams can do to mitigate the risk associated with iOS devices. Read on to learn more.